It’s a mark of Keith Jarrett’s tremendous musical intelligence that he is not only one of the foremost (if not the foremost) creators of freely-improvised music on the piano in the world, but that he is also an exceptionally fine interpreter on the piano of the music of Bach–a composer whose style is far more associated with painstaking harmonic logic and clockwork musical structure than with freewheeling creativity. 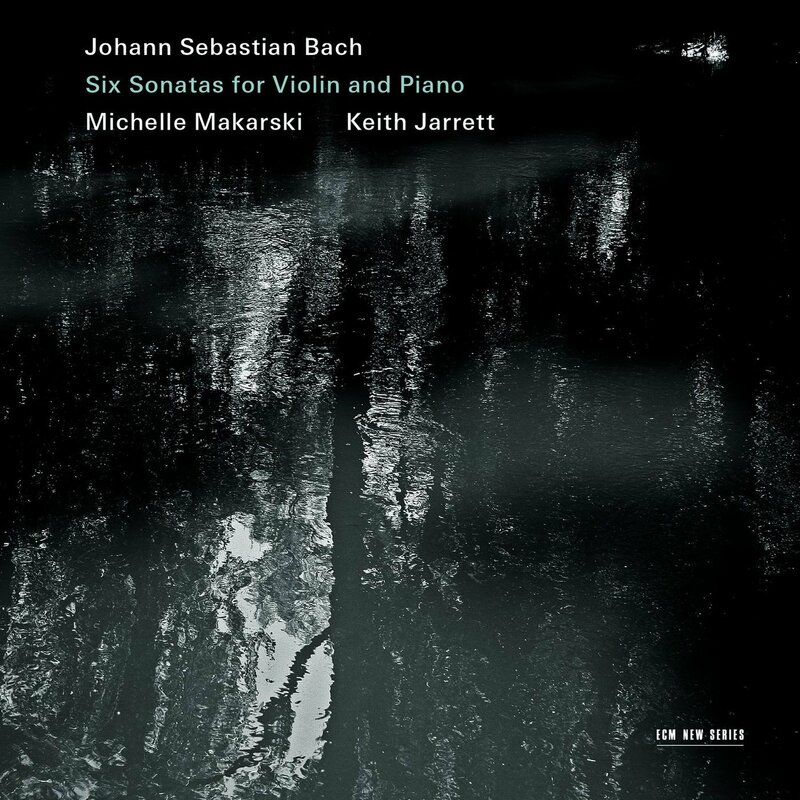 In collaboration with violinist Michelle Makarski, he has made what I think may be the definitive recording of Bach’s six violin sonatas on modern instruments. Makarski plays with dancing, bell-toned joy, while Jarrett cedes the spotlight to her violin while simultaneously making every note count, creating a keyboard sound that is the auditory equivalent of a constantly-unfurling string of pearls. This being an ECM production made under the studio supervision of Manfred Eicher, the recorded sound is (as always) rich and spacious, which one might not expect to be the best choice for music of such an intimate nature. But it works perfectly, burnishing the sound of both instruments and creating a listening experience that is really quite unique for this repertoire. Strongly recommended to all libraries. 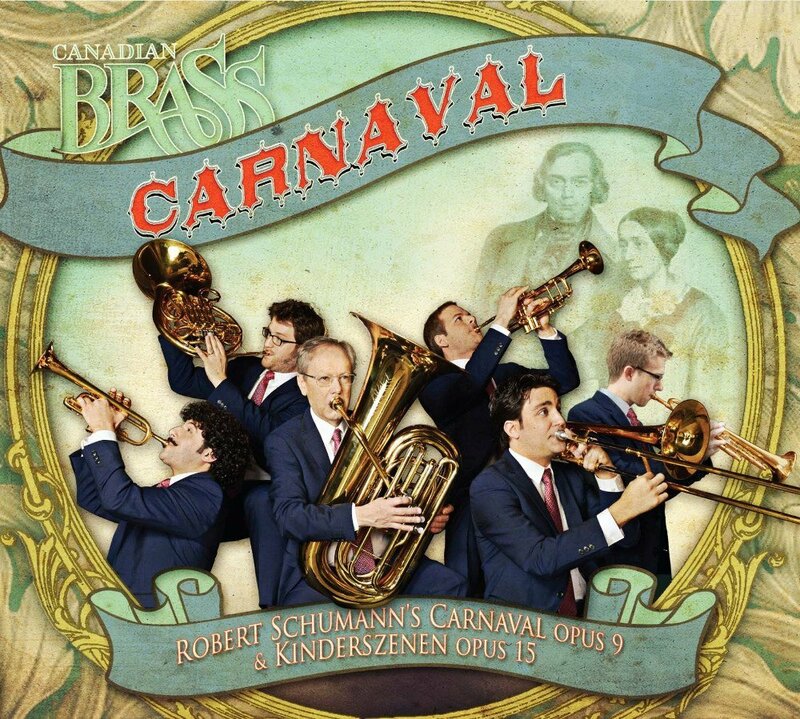 This is a charming recording of two charming suites by Robert Schumann — Carnaval and the Kinderszenen. The pieces were arranged for the Canadian Brass sextet by members Chris Coletti and Brandon Ridenour; the arrangements are beautiful, and though I find the production to be a bit, well, brassy-sounding, the playing is warm and lovely throughout and the pieces themselves are light and inviting. Libraries supporting coursework in orchestration and arrangement should take particular note of this release. I’m cheating a little bit by putting this in the Classical section, but since the musicians are wearing white tie and tails in the packaging photos I figure I’m justified. 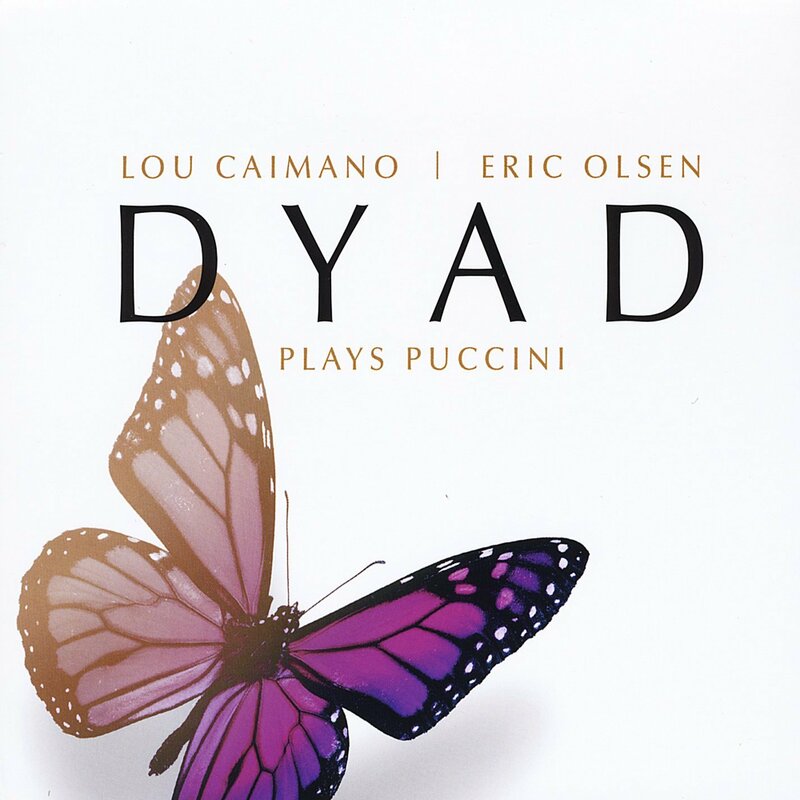 For this project, saxophonist Lou Caimano and pianist Eric Olsen (recording as Dyad) have taken arias from several popular Puccini operas and created jazz and jazz-like arrangements for them–they do swing (though decorously, in the absence of bass and drums) but they also show respect for the multifaceted beauty of the original melodies. Here’s another one that will be of particular interest to libraries supporting a curriculum in orchestration and arrangement. Though he remains most deeply respected for his choral and theater compositions, Henry Purcell also wrote some very winning music for various combinations of stringed instruments: two sets of sonatas (a relatively new compositional form in the late 17th century) for violins, viola da gamba, and continuo, and a more old-fashioned set of 16 fantasias and two In nomines for viol consort. 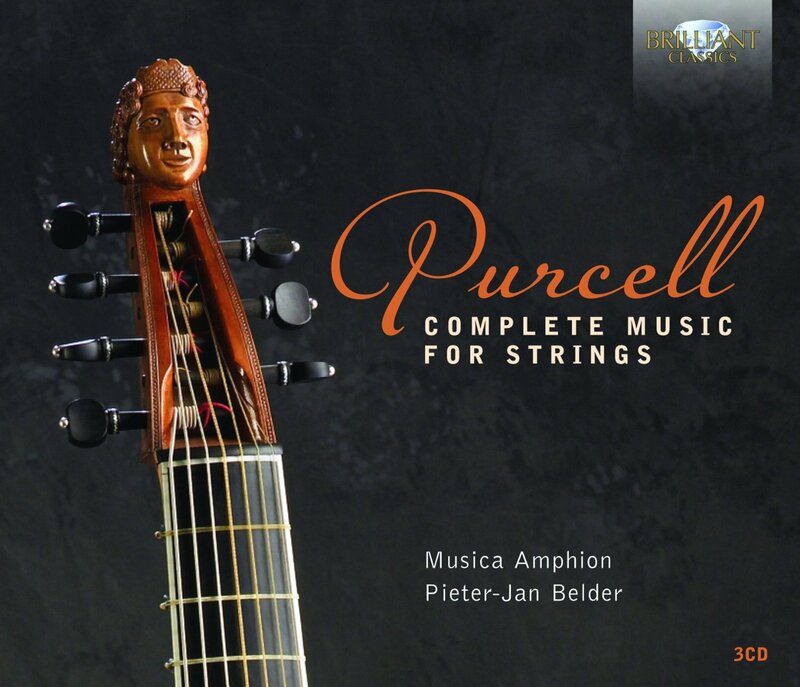 This very attractive three-disc set brings together previously-issued recordings of all of these works made by the Musica Amphion consort in 2006 and 2007, and can be confidently recommended to any library that would benefit from having all of these pieces in excellent performances in a convenient single package. The Hungarian composers Bela Bartok and Zoltan Kodaly were pioneers of folk-classical fusion, traveling all over their homelands to gather traditional tunes and songs, which they then incorporated into their compositions. Over in Czechoslovakia, Leos Janacek was drawing on similar themes (though not in such an ethnomusicological way). 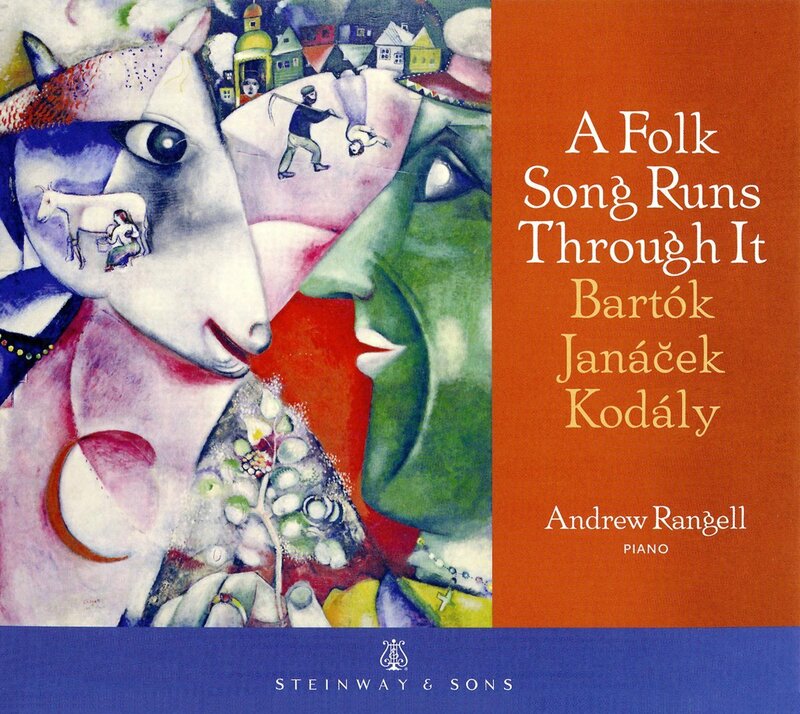 On this recording, the brilliant pianist Andrew Rangell brings works of all three composers together into this themed program, which opens with Janacek’s In the Mists and then presents folksong-based suites and sonatas by Bartok and Kodaly. As always, Rangell’s playing is an utter joy, and the program is very insightfully chosen. 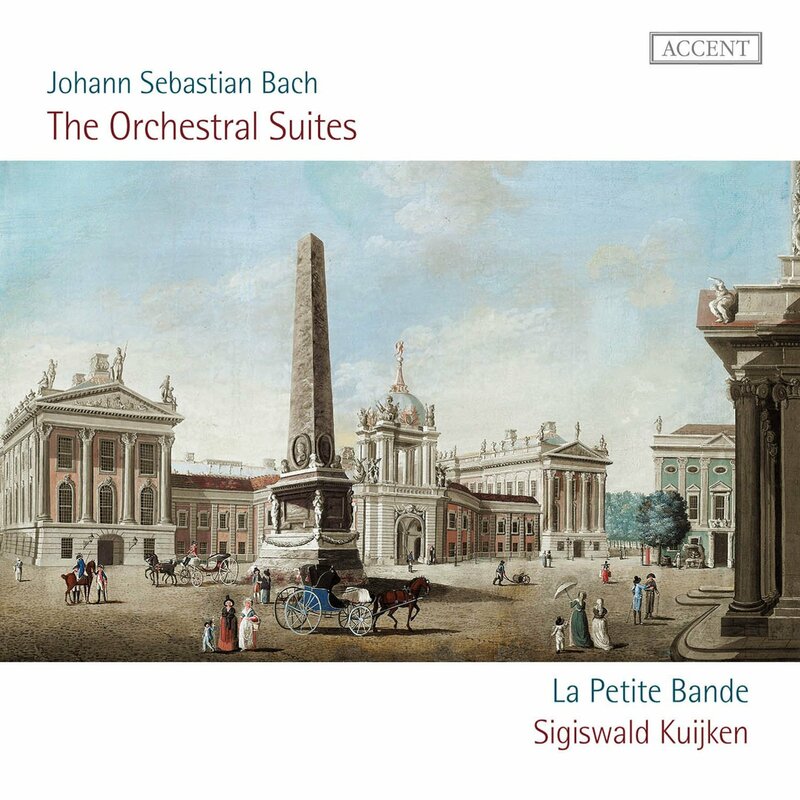 40 years after its founding, Sigiswald Kuijken’s La Petite Bande remains one of the most consistently impressive period-instrument ensembles in the world, regularly turning out spectacular recordings of music from the baroque and classical repertoires. As its name suggests, it operates with relatively few members, generally playing one instrument to a part, and that fact makes their recording of Bach’s magisterial orchestral suites quite interesting. Brisk tempos allow them to get through all six suites within the confines of a single disc, and their playing is sprightly and bright, bringing out all of the pleasure and structural beauty of the various dance movements. Most libraries will own multiple accounts of these works already, but this one is both good and unique enough to be worth acquiring even if you already own other period-instrument versions. 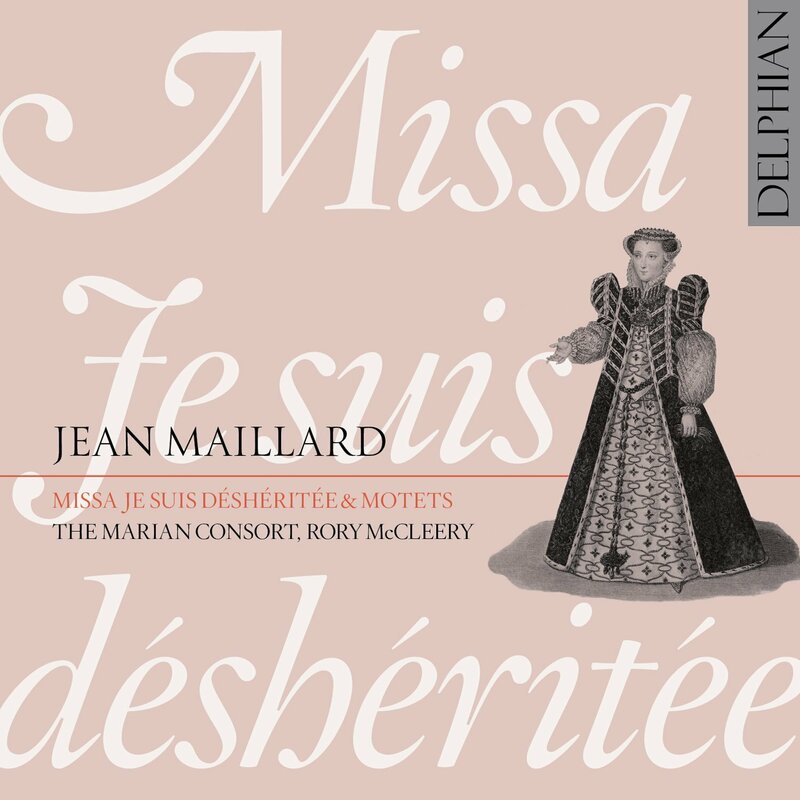 Stop me if you’ve heard this story before: “Despite being identified as one of the most important French composers of the sixteenth century… Maillard is a figure who remains shrouded in mystery and whose works have rarely been performed in modern times.” On the one hand, this is a depressingly common syndrome; on the other hand, it means we get the pleasure and excitement of recordings like this, that bring the neglected composer back into the public eye with performances of rare taste and elegance of works that are heart-stoppingly beautiful. An essential purchase for all early music collections. 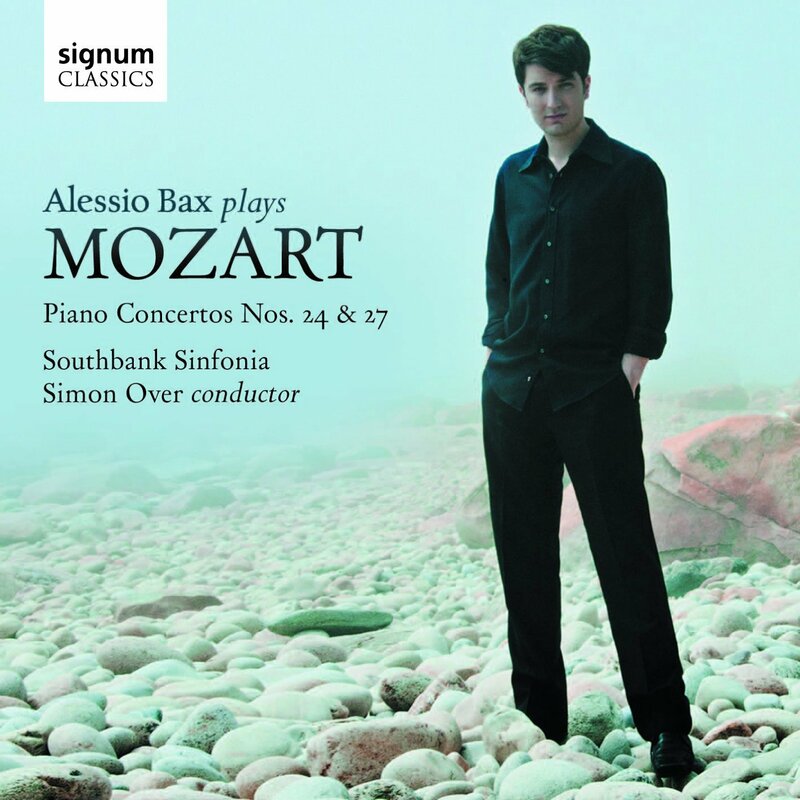 Alessio Bax has said that the Mozart piano concertos “were the reason I fell in love the with piano,” and you can hear that love in every note he plays on this disc, which includes two of Mozart’s more disparate works: the sunny and straightforward concerto no. 27, and the much more tempestuous concerto no. 24. As a significant bonus, the album also includes Bax’s account of Mozart’s rarely-recorded solo variations on Sarti’s “Come un agnello” (K. 460). Bax is emerging as a major force in modern pianism, and this release is an impressive document of a young man very much on the rise. 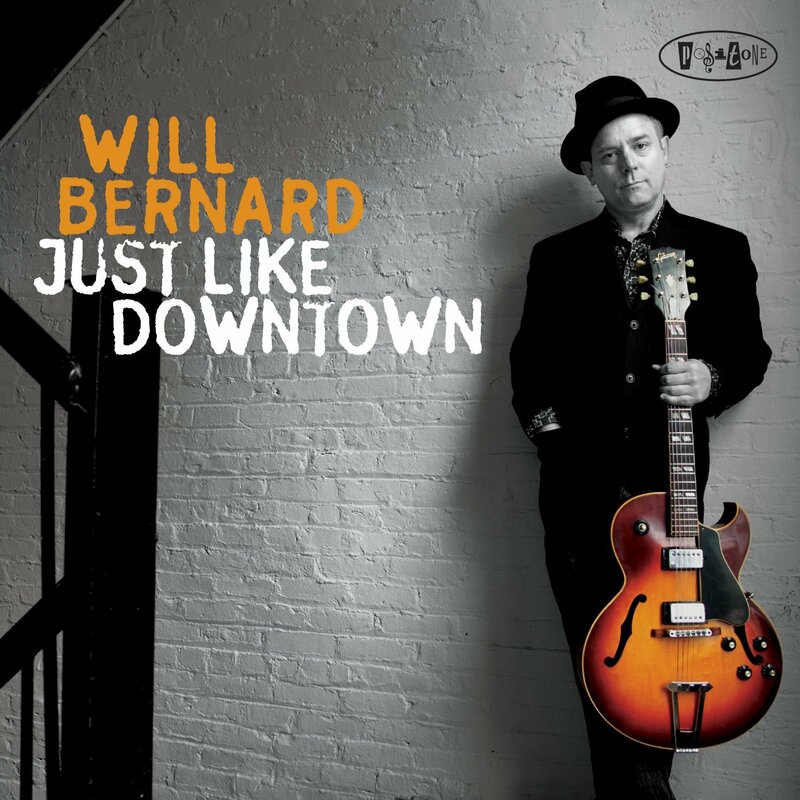 I’ve been keeping half an eye on guitarist Will Bernard ever since his days in one of my favorite weirdo-jazz-funk groups, TJ Kirk (famous for its fezzes and for limiting its repertoire to tunes written by Thelonious Monk, Rahsaan Roland Kirk, and James Brown). As a leader on this album Bernard goes for a more traditional sound, leading an organ trio augmented by saxophonist/clarinetist John Ellis. This format leads one to expect funkiness, and that’s what one gets, in spades. The program is a mix of Bernard originals, one rather unusual standard (Richard Rodgers’ “Bali Hai”) and a Led Zeppelin cover. The playing is sharp and tasteful throughout, and the group sounds like it’s been working the clubs together for years. Highly recommended. 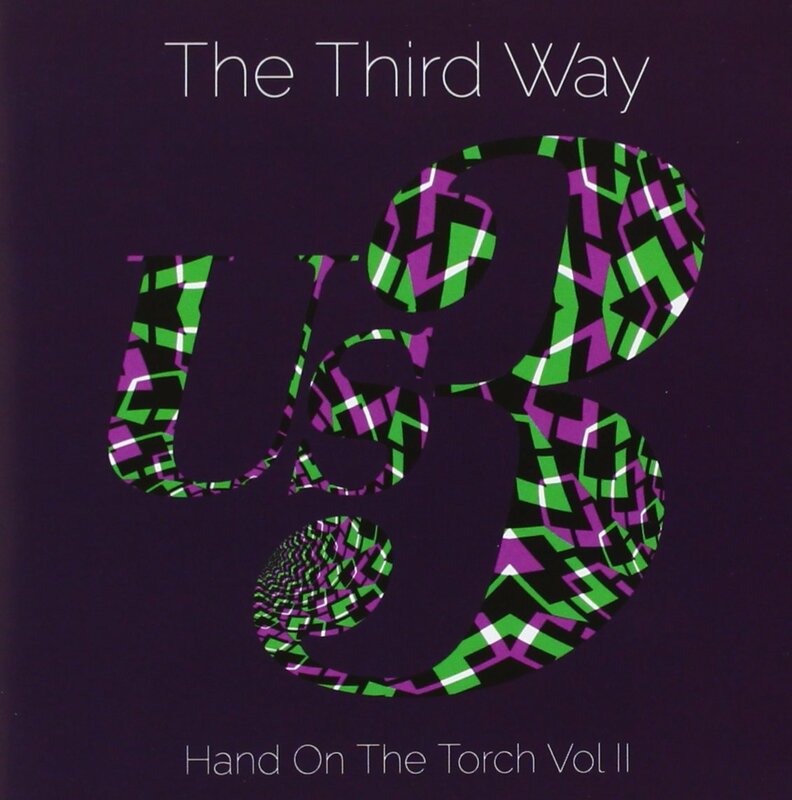 At the same time that the Blue Note label is releasing a deluxe reissue of the band’s platinum 1993 debut (Hand on the Torch), Us3 returns with its ninth studio album, one that harks back explicitly to the formula of the first: a three-member tag team of MCs in a variety of styles rapping over samples and reinterpretations of classic jazz recordings and muscled-up hip hop beats. The Third Way is a colorful and joyous celebration of the various strands of African-American musical tradition, drawing alternately on classic hip hop, reggae, Latin jazz, bebop, and big band sounds, and it’s a pure blast from start to finish. 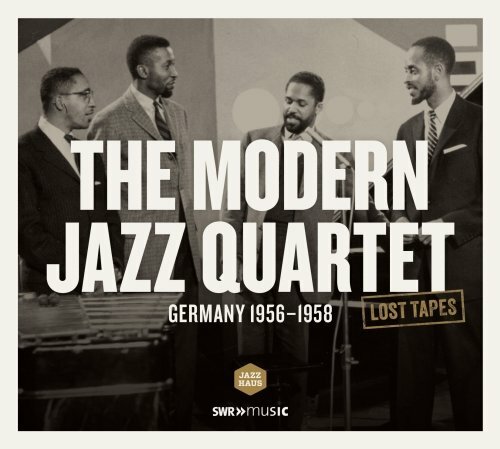 I’m duty-bound to recommend this one to libraries, because it documents an important moment in the MJQ’s concert career: previously-unreleased collaborations with a couple of orchestral ensembles in Germany. The problem is that as a listening experience goes, this release kind of leaves me flat: the orchestral arrangements of “Django” and “Bluesology” strike me as forced and over-elaborate (a tendency that the MJQ struggled with at several points during its career). But there are brilliant moments here as well, and the album’s documentary value is undeniable. Also, you may find that you love the big arrangements. This one took a while to grow on me, but I’m glad I gave it the chance—it recently helped me survive a brutally long transoceanic flight. Recording under the band name Klaro!, saxophonist Karolina Strassmayer and drummer Drori Mondlak lead a quartet that also includes guitarist Cary DeNigris and bassist Ingmar Heller on a program of original tunes that can get a bit discursive at times, but that never lose touch with the fundamentals. Strassmayer in particular is an exceptionally incisive and inventive player, and Mondlak supports her with rare taste and perceptivity. Give this one two or three listens and see if it doesn’t end up staying in your CD player for weeks on end. 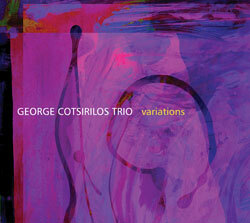 Guitarist George Costirilos has two big things going for him: a warm, inviting tone, and the ability to lead a trio of unbelievable tightness in such a way that it sounds loose and cheerful rather than constricted. Well, maybe one other big thing as well: phenomenal melodic inventiveness. 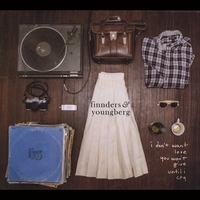 On this album he switches between electric and acoustic guitar and between originals and standards (with an emphasis on the former), gliding effortlessly between soulful blues-oriented passages and kaleidoscopic bebop lines and doing an admirable job of filling the open space provided by the trio format with lots and lots of very tasty music. Recommended to all jazz collections. Caffé Lena, in Saratoga Springs, NY, has been operating as a folk music venue for over 45 years now, and during that period has presented just about every folk artist that matters. 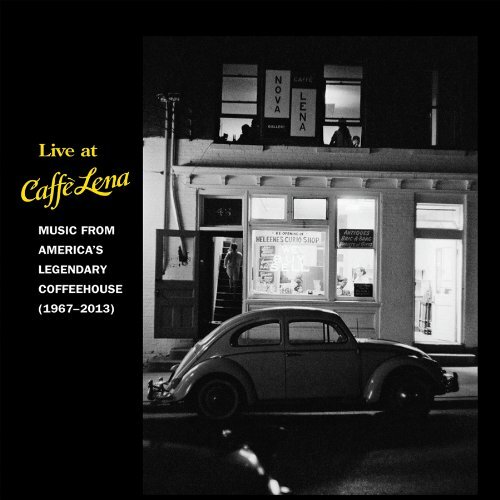 Following a “treasure hunt” for archival recordings from the café’s history, some of which were located in people’s attics and basements, the Tompkins Square label compiled this three-disc anthology, and it’s truly amazing. Here (in surprisingly high-fidelity renderings) you’ll hear live performances by the likes of Sleepy John Estes, Pete Seeger, Arlo Guthrie, Christine Lavin, Bill Staines, and Ramblin’ Jack Elliott, and you’ll find a booklet with extensive liner notes and photographs. None of these recordings has ever been commercially released before. An essential purchase for all folk collections. It’s an old story: punk rockers tire of the relentless sonic barrage, rediscover folk music, grow beards, and are born again as old-timey revivalists. But this Cincinnati trio didn’t stop there: they have created a sound that draws on a variety of influences (you’ll hear more than a hint of skiffle, jug-band, gospel, and Tin Pan Alley elemtnts on this album) and harks back explicitly to Depression-era union songs. The singing is authentically weedy, the playing tight and skillful enough but not airlessly so. Mike Oberst has developed a sort of customized clawhammer banjo style that works very nicely in this context. Try to ignore the inexcusably clunky title: you haven’t heard anything as gracefully eclectic and sweetly surprising as the sophomore release (an EP) from this Fort Collins, Colorado-based quintet. What will surprise you are the chord changes and other structural curiosities that lurk beneath the straight-ahead surfaces of the band’s modern acoustic country songs, and that gracefully blend bluegrass and country elements into a uniquely personal style that draws on countless antecedents but owes its essence to none of them. Every song here is original, both literally and figuratively. I only wish the program were three times as long. Strongly recommended to all library collections. 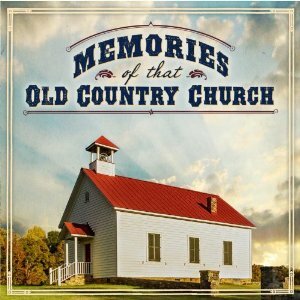 If your collection could use a good, budget-priced historical overview of bluegrass gospel music, then look no further than this anthology from the Rebel label. The lineup reads like a who’s-who of bluegrass music from its earliest days to the present time, with contributions from Ralph Stanley, Jim & Jesse, Larry Sparks, J.D. Crowe & the New South, the Lilly Brothers, and Mac Wiseman, among others. Some of these recordings will be familiar to fans of the genre, but others are more obscure, and the mix of new and old styles is both enjoyable and instructive. 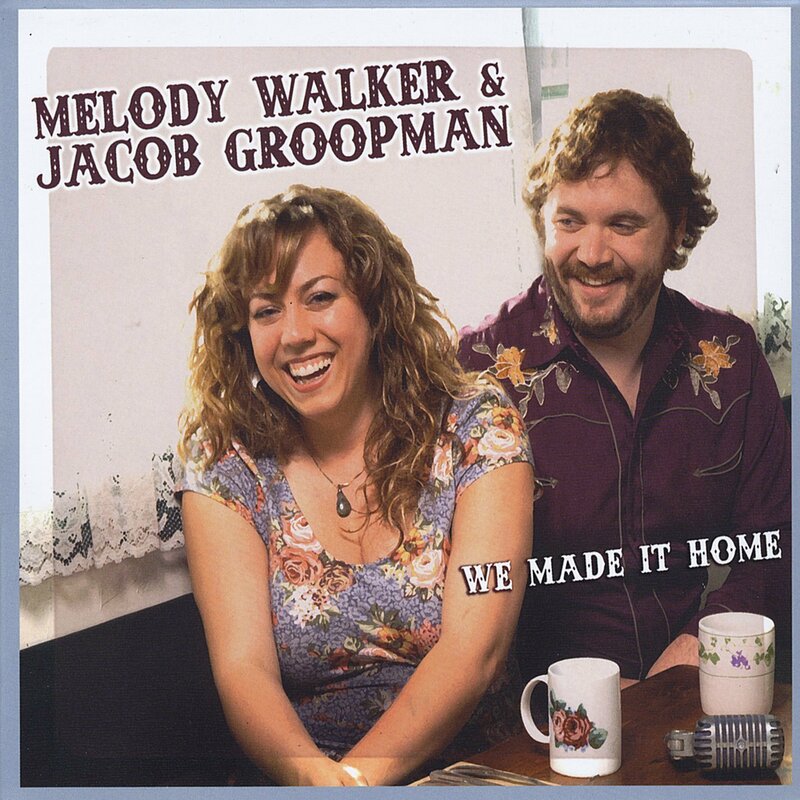 When they aren’t touring with their progressive bluegrass band Front Country, Melody Walker and Jacob Groopman are at home writing songs that push at the boundaries of modern acoustic country music, brother-duet traditionalism, and gospel. Their voices are full-bodied and soulful, their subject matter subtly daring, their instrumental chops unimpeachable, and their overall sound simultaneously backward-looking and progressive. Guest pickers come and go throughout the program, but producer Laurie Lewis wisely keeps the sound spare and focused on Walker and Groopman’s own playing and singing. The Louvin Brothers-style cover version of “Graceland” and their raw, modal arrangement of “Sweet Sunny South” are both tons of fun. Highly recommended. 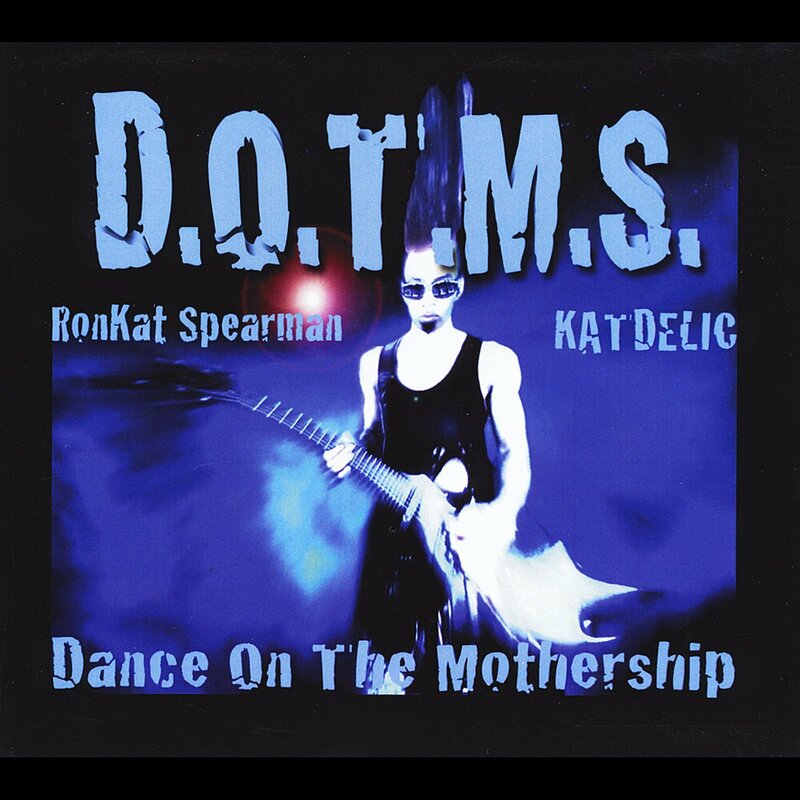 If you miss the glory days of Parliament Funkadelic (and you know you do), then check out the latest from RonKat Spearman, a member of that band for ten years and an unabashed carrier of the Funkadelic torch in his own right. The album’s titular acronym stands for “Dancing on the Mothership,” a perfectly apt title for what this music sounds like: it’s heavy, funky, dense and swimming with sonic references to classic 1970s funk, disco, metal, Latin rock, and even traditional jazz. Spearman is a fine vocalist as well as a gifted multi-instrumentalist and arranger. Recommended. 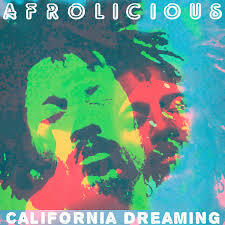 If you’re looking for Afropop-style pan-cultural funk that also partakes of the Mothership feel but does so in a less riotous and rockish way than RonKat Spearman’s project, consider this tasty album from the San Francisco-based Afrolicious. This is the band’s debut full-length release, but it sounds like the work of a mature and well-seasoned ensemble: the grooves are tight but not airless, and they sway and bounce with both masterfully controlled energy and a seemingly effortless grace. Where Spearman draws on Funkadelic grease, Afrolicious goes for something more jazz-oriented—and the word on the street is that a remix album is coming out later this fall. I’ll definitely be watching out for that. This Swedish band has a sound that harks back nicely to the early days of post-punk guitar pop: listen to the Flock of Seagulls-style guitar work on “Take It the Wrong Way,” for example, and to “Hurt the Ones I Love,” which sounds kind of like a collaboration between Indochine and Blondie. I really enjoyed their last outing, but this one is even better, the sound more fully developed and the hooks sharper and more refined. Recommended. 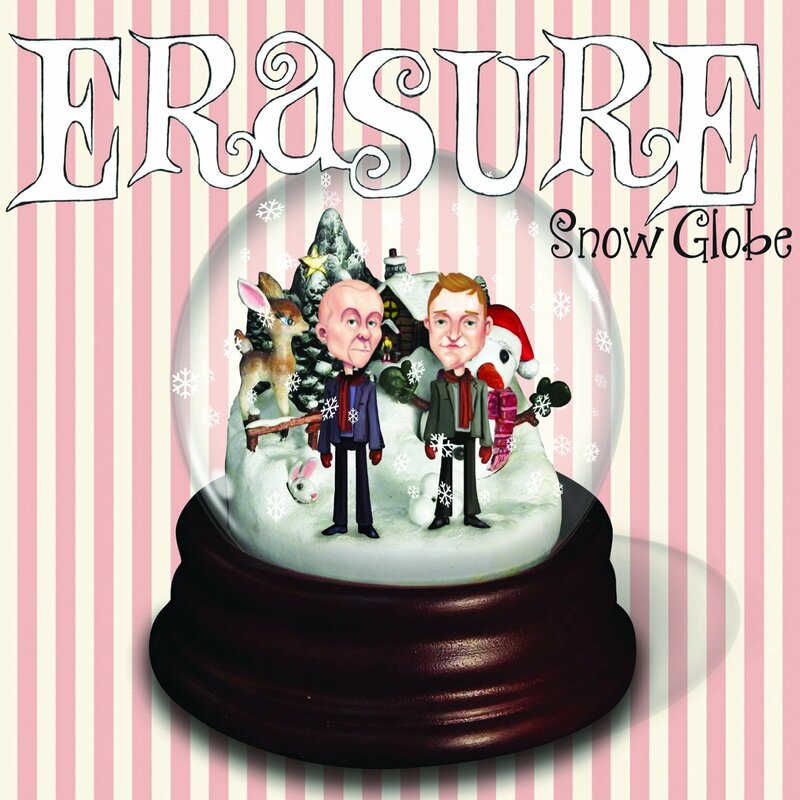 A Christmas album from Erasure? Yes. And it’s pretty much what you’d expect, in all the best ways: original songs that take full advantage of Vince Clarke’s synthpop genius and Andy Bell’s still-operatic voice alongside surprising arrangements of classic seasonal songs: a lovely and sprightly take on the Latin carol “Gaudete,” a charmingly blippy version of “The Christmas Song,” a heartbreakingly lovely rendition of “In the Bleak Midwinter.” There are hints of social protest in “Bells of Love” and “Blood on the Snow,” making Snow Globe an unusually complex Christmas album, but the pervasive hooks make it consistently accessible. All too often, these Fabriclive DJ mixes end up being generic exercises in post-Detroit oonts-oonts-oonts that bore the pants off me within about three minutes. 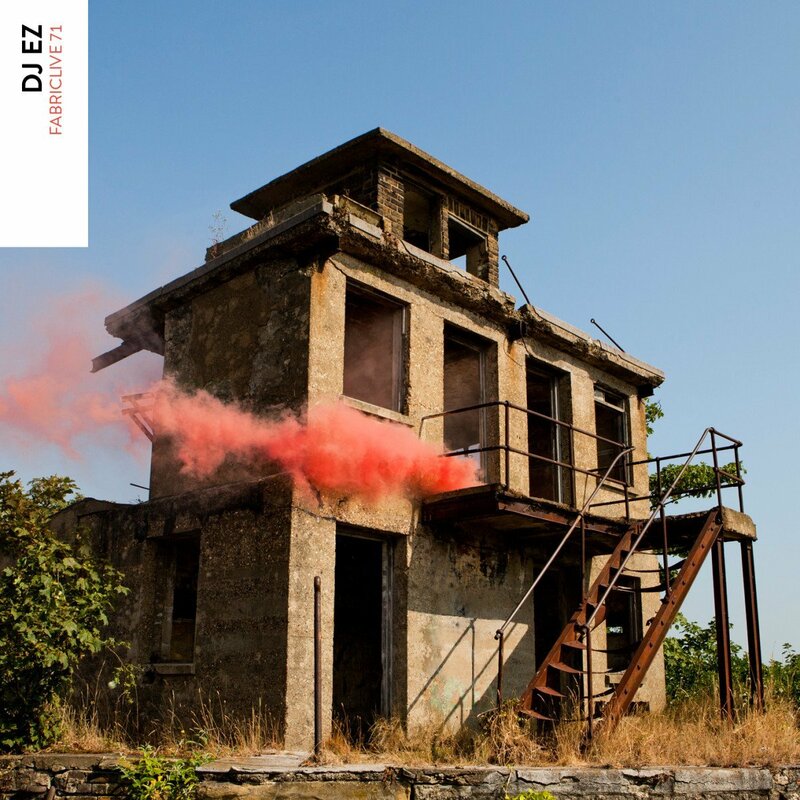 But this one is very different: DJ EZ is a master of the techno genre known as UK garage and its subgenre 2-step, which feature exceptionally tight, often swinging beats and chopped-up, soulful vocals; sometimes the beat falls into a four-on-the-floor thumpa-thumpa, but then he’ll tweak the time signature and break up the groove in a subtle way and turn it into something much funkier and sometimes almost pointillistic. This continuous-mix program features extracts from no fewer than 32 tracks, and if you recognize more than 10% of them you’re much more in tune with this scene than I am. Highly recommended. I confess that I’m a sucker for nerdy-smart math-rock bands with a sense of humor. 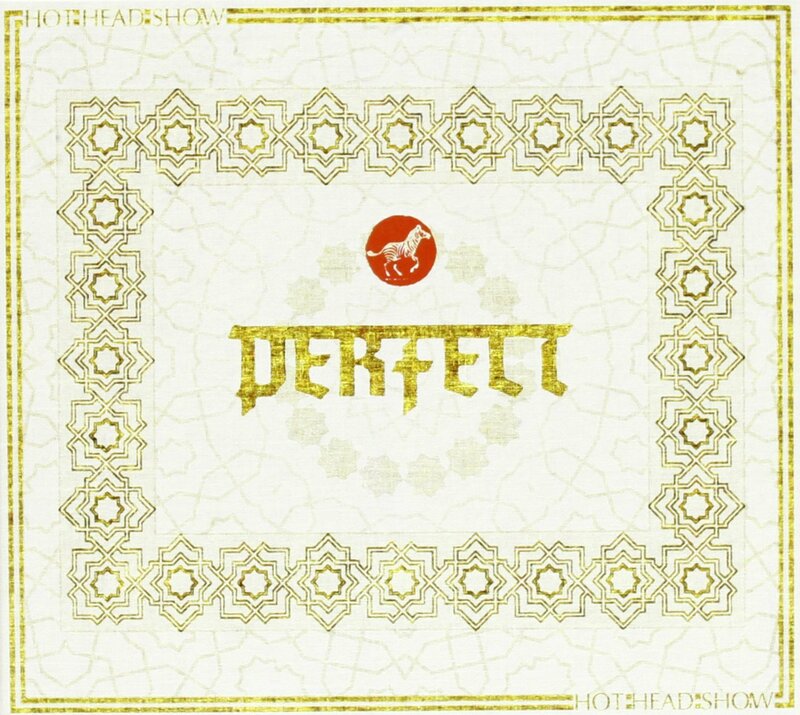 Hot Head Show is all about twisted intricacy and aggressive whimsy; they’ll switch from headlong mathcore to spastic ska in the twitch of an eyelid, and their lyrics are the high school chess club’s idea of hilarious. (Unsurprisingly, they spent most of 2011 touring behind Primus.) Recommended if you like Sweep the Leg Johnny and/or the Ahleuchatistas. Or if, like me, you just get in a certain mood sometimes and need to indulge a secret jonesing for avant-pop perversity. 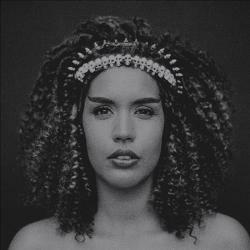 Born to Trinidadian and Italian parents and raised in East London, Lea Lea grew up surrounded by a wild variety of music, and her debut album reflects that fact. She cut her teeth on jungle and drum & bass and gravitated towards hip hop and grime before hooking up with producer/drummer Jack Baker and traveling throughout Mexico and the US and absorbing the sights and sounds of cultures far removed from the London underground clubs. Upon their return, she wrote this album, and while you won’t hear any mariachi or country influences in the music (it’s very much an East-London-sounding affair), you’ll definitely hear reflections of her travels in the lyrics. 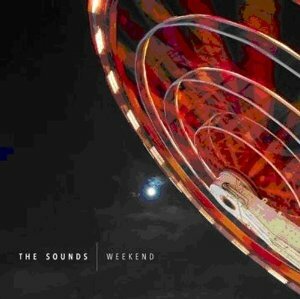 The overall sound is tense, funky, and dark, and thoroughly wonderful. Highly recommended. Allen Toussaint is one of those guys you probably haven’t heard of despite the fact that you hear his music on a regular basis. A New Orleans-bred singer, composer, and pianist, he’s written hits for the likes of Irma Thomas, Al Hirt, and Lee Dorsey, and you’ll still hear his music in advertising jingles, hip hop singles, and TV soundtracks. This disc (and accompanying DVD) documents a recent solo stand at Joe’s Pub in New York. 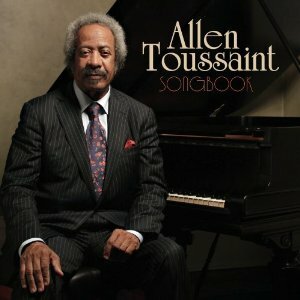 It’s just Toussaint’s warm, friendly voice and his piano, on a list of songs that includes “Brickyard Blues,” “It’s Raining,” “St. James Infirmary,” and “Get Out of My Life, Woman.” Everything that he plays and sings fairly screams “New Orleans,” and it’s all a complete joy to hear. 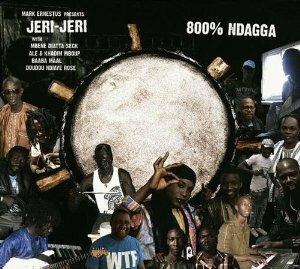 While on a music-gathering trip to Senegal in 2011, German producer Mark Ernestus found himself unexpectedly in the studio with more than 20 of the country’s finest musicians, including members of a griot clan of sabar drummers and mbalax vocalists, some of whom have worked regularly as members of Baaba Maal and Youssou N’Dour’s bands. The music they created for this album is densely, swirlingly polyrhythmic, featuring ecstatic vocals and subtle layers of synthesizer and guitar underneath the talking drums and skittering snare and high hat. The ska and rock steady revival that came of age in New York and Brooklyn 15 years ago continues to bubble along despite all the talk of ska being dead (again). 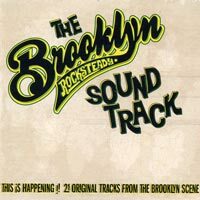 For solid evidence, consider this collection of 20 new songs by Brooklyn artists working in the tradition of rock steady, a sound that flourished briefly in 1960s Jamaica as the galloping dance beats of skae were starting to slow and thicken into what would eventually become reggae around 1970. (It’s actually the soundtrack to a film that can be viewed for free online here.) Some of these artists (Crazy Baldhead, King Django, Victor Rice) will be familiar to listeners who have been keeping an eye on this scene over the years, but others will come as a pleasant surprise and merit further investigation. It’s a brilliant collection all around. If you’ve ever visited Toronto at any time other than high summer, you might have a hard time believing that these hot, humid, deeply tropical dance grooves were produced in or anywhere near that city. 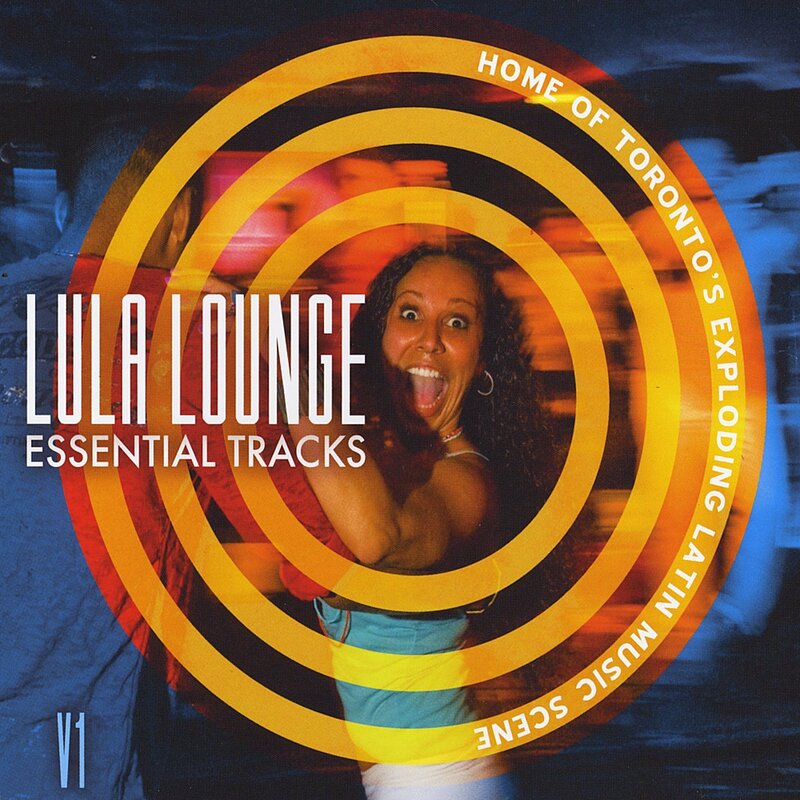 But Toronto’s Lula Lounge club really is a destination for lovers of Caribbean and Latin American dance music, and this wonderful disc is the soundtrack of that venue—a place that serves not only as a dance club but also as a dance studio and a gathering place for the Latino diaspora in its many forms. But the chief value of this album isn’t documentary or ethnological—it’s as an utterly brilliant party album. 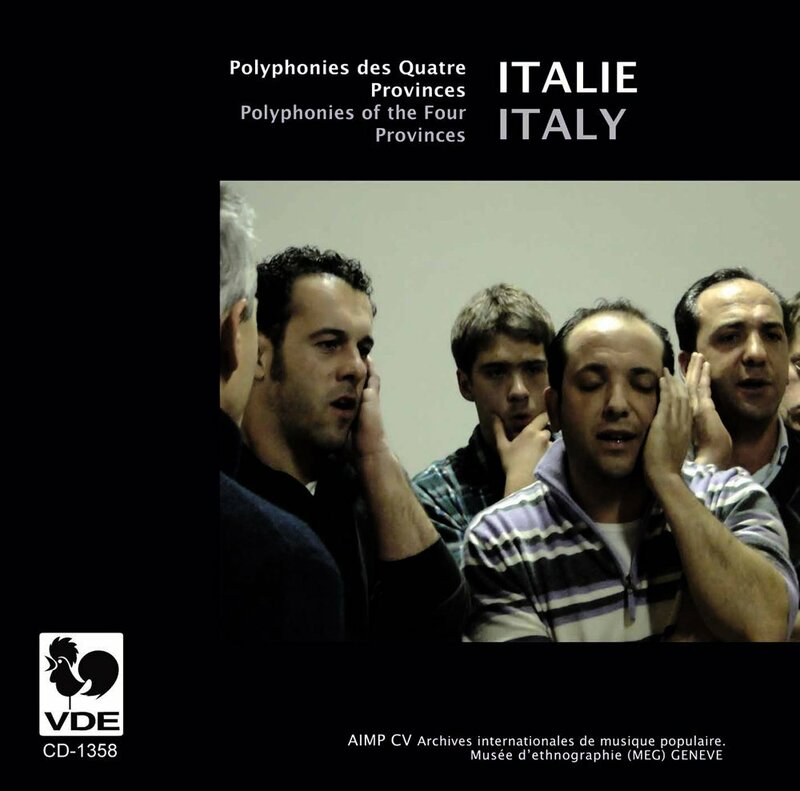 The traditional polyphonic singing of Northern Italy is locally known as canto fermo (“song without rhythm”). This is an all-male tradition; female groups were also once common, but for some reason have now disappeared, and the singing generally takes place when friends gather in someone’s cellar or in a bar. 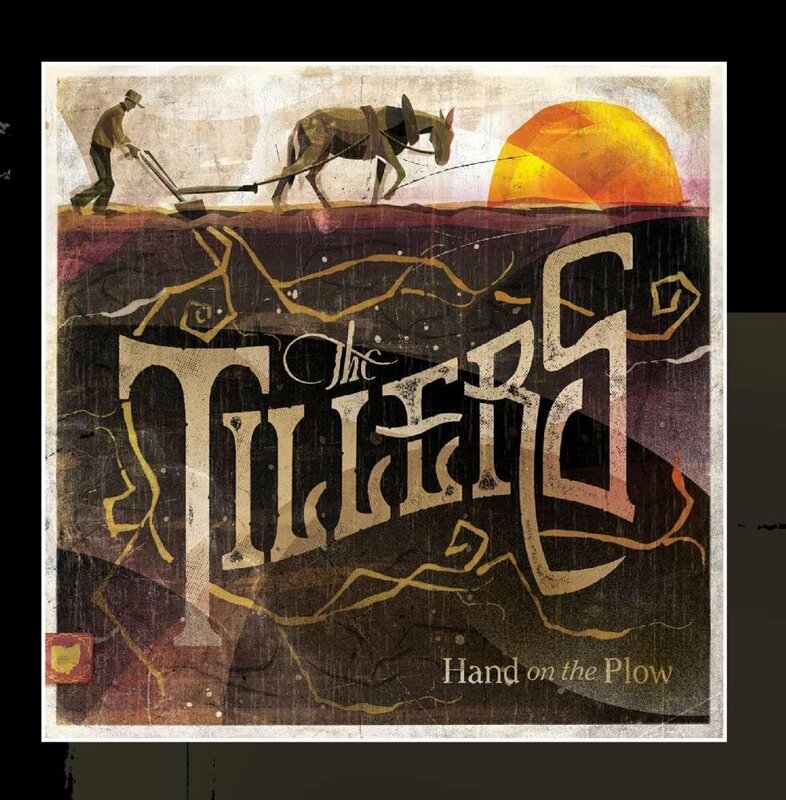 As its name suggests, this is music that unfolds without rhythmic pulse, but with rich and powerful harmony. This recording was made in the field by amateur singers, and the sound quality is very good; the singing is rough-edged but expert, and the disc includes a brief video documentary. The whole package should be of great interest to libraries with a collecting interest in ethnomusicology. 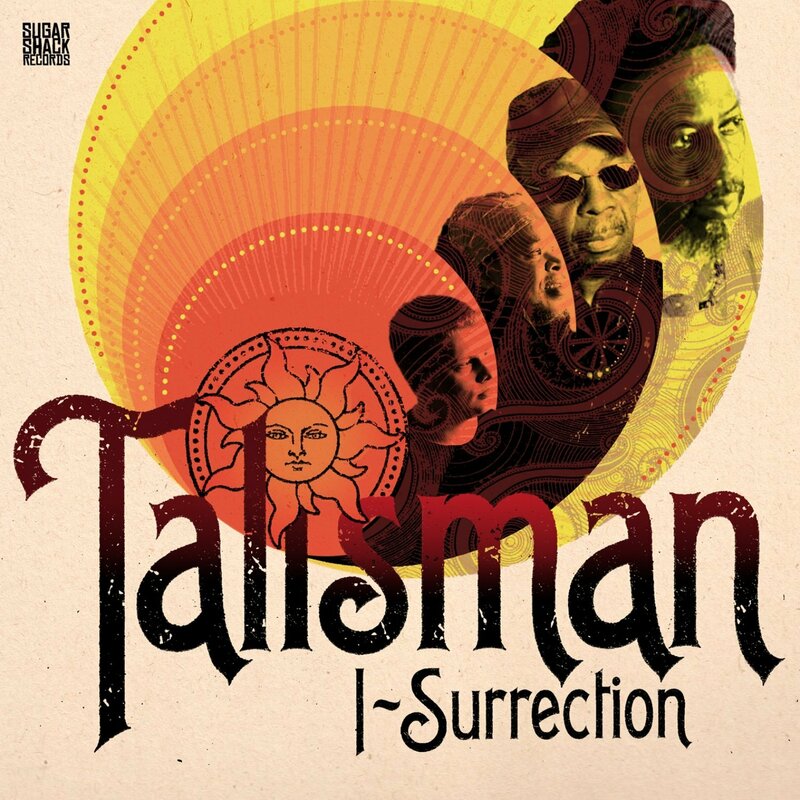 Having gotten international attention with the reissue of their 1984 debut Takin’ the Strain, the Bristol reggae band Talisman have re-formed and recorded an album of brand-new material—and bless them, to listen to it you’d never know that 30 years have passed since their first recordings. Their sound is tight, dry, slow, and dread, the lyrical themes strictly roots-and-culture, the vocals as rich and strong as ever, and the grooves positively elephantine. And every track comes with a dub version. Any library with a reggae collection, however selective, would be wise to pick this one up.